News and discussion about the minimalistic RPG. I’ve never actually seen someone really sit down and play through my games before, other than roping a few family members to try them when I was much younger, so this is a new experience for me. As a developer, it’s pretty amazing to be able to watch as a new player picks up the game and gives insight into how they approach it and what they’re thinking. It’s one thing when people explain their thoughts on a game afterwards, but it’s quite another to see it firsthand and figure out what game systems players are overlooking, not understanding, or just not enjoying. There’s more than a few things MrGazillion missed that are probably far more my fault than his. Developing Another Star felt like fumbling around in the dark a lot of the time. A few people did try the game and give they’re thoughts, and for that I will be ever grateful, but with so little total feedback it was really hard to figure out what was working and what was not. In many ways, I think the game suffered from my lack of direction. Thankfully, I have a feeling that Another Star 2 will have no shortage of volunteers to test it out. MrGazillion has Let’s Plays of quite a few indie and niche RPGs on his channel, so you should totally go check it out if that’s your thing. Yes, I know you can make out the obscured text. It’s probably not going to be the game’s subtitle anyway. 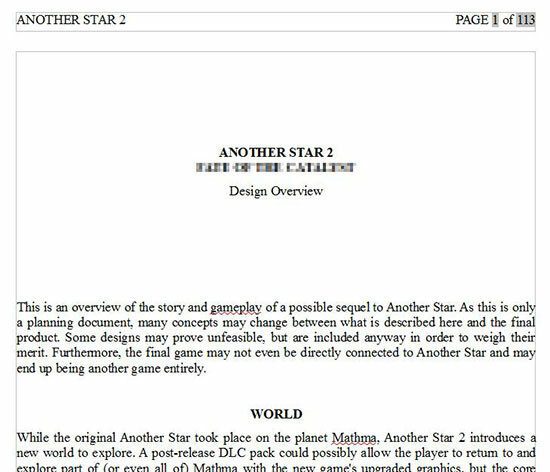 Over the course of about a month I put together a very thorough design document that explains the world and story of a possible Another Star 2 , along with an overview of the game’s mechanics that goes into detail about various changes that would be made compared to the first game. It topped out at a whopping 113 pages because I’m crazy, and also because I was greedy and didn’t want to leave out any possible ideas that seemed good at the time. As a result, I’m guessing half of what’s in this thing won’t see the light of day. To compare, Another Star ‘s design overview was a mere six pages long. So yes, just to be clear, as you’ve probably already guessed Another Star 2 is in production. Just keep in mind, it may not be Another Star 2 by the time it’s done. Also keep in mind that, unlike the first game, I will probably not be able to work on Another Star 2 full time like I did the original. My career and financial situation are nowhere near as stable as they were just two or three years ago, and that’s probably going to take a larger and larger toll as time goes on. Don’t expect to get your hands on this thing before mid 2017, if not later. Anyway, one of the huge mistakes I made while doing Another Star was failing to share it. I wanted to keep everything under wraps until it was all done, in large part because I didn’t want to spoil the “twist” near the beginning where the story switches from a somewhat generic RPG world to a mix of fantasy and sci-fi. 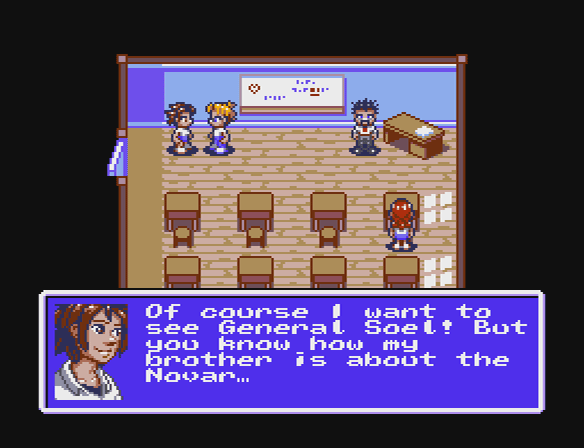 If you look at almost all of the early screenshots and promotional work for the game, Soel is never even mentioned. In the end, though, nobody really cared that much about the direction the narrative took. It’s a really simple game with a simple story, and trying to keep a lid on it backfired because I ended up having to release the game to absolutely no fanfare, all because I was afraid to show anything past the first half of the first dungeon. I never managed to build an audience for the game. This, it turns out, is absolute death for an indie title. I do not aim to repeat that mistake with Another Star 2 . Over the coming weeks and months, I’ll be showing off some of the tools I’m developing to make Another Star 2 a reality, and as time goes on I’ll be sharing a lot about the world and characters of the game. Sure, I’m going to keep lots of stuff up my sleeve for later, but I’m making it a point to publicly document the game’s progress. I hope you’re looking forward to it. In my mind, I always tend to group Another Star with two other titles: Freedom Planet and Shovel Knight . All three came out around the same time, and all three take heavy inspiration from a past system; Freedom Planet from the Genesis/MegaDrive, Shovel Knight from the NES, and Another Star from the Master System. Freedom Planet and Shovel Knight are far more polished—and exceedingly more popular—than Another Star , so the comparison may seem a bit silly, but I just can’t help but consider them “sibling” games. This past Christmas day, GalaxyTrail made a surprise announcement with a rather amazing trailer for Freedom Planet 2 . For whatever reason, the exhilaration of the trailer mixed with seeing Another Star ‘s sibling series make such a splash again made me feel more than a little nostalgic, and I couldn’t help but think about Another Star . I’ve noted many times before when asked that there’s really no plans for a sequel to Another Star , and that much is still true for the most part. I’d like to come back to the game eventually and give it a spiritual successor to build on the battle system, if not necessarily a direct sequel. But I didn’t really want my next game to just be more of the same thing, and I didn’t want to get pigeon-holed as a retro-pixel-art RPG developer and nothing more. Yet in the nearly two years now following Another Star ‘s 2014 release, I still don’t have much progress on a second game other than the few prototypes I’ve posted here. Enemies approach with non-square pixels! Again, keep in mind that this and everything else in this post are merely mockups and conjecture. No game and no gameplay exist. Right now they’re just concepts and ideas and nothing more, and they may well never be anything more than that. The NES and Master System were both limited to, at most, eight sprites per scanline, and each sprite was exactly eight pixels wide. This is why so many 8-bit games have a huge problem with their sprites flickering. They’d end up on the same horizontal line of pixels and some of them would get ignored. However, the battle screen above has four enemies, and each enemy would be constructed of multiple 8×8 sprites. 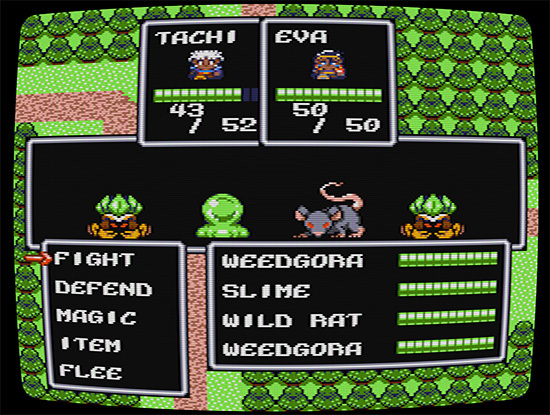 At their size (about 32 pixels wide), each enemy would need four sprites worth of width. Since the enemies are arranged horizontally, four enemies times four sprites wide means that you end up with sixteen sprites on a scanline. That’s twice the allowance for most 8-bit systems. It does adhere to the imaginary specifications of the imaginary 8-bit Vision Game System which supposedly ran the original Another Star , but I worry it could be a turn-off to those who were drawn to the original game because of the strong graphical resemblance to the NES Dragon Quest games. Regardless, I ended up really liking how that mock-up turned out, especially the forest background which really exceeded what I thought I could accomplish. So I decided I’d do just one more concept mock-up. I never could decide how I wanted that door to look, or which tile the player would have to step on to actually exit the room. This time I did an area map, to see how the characters might look moving about the world. 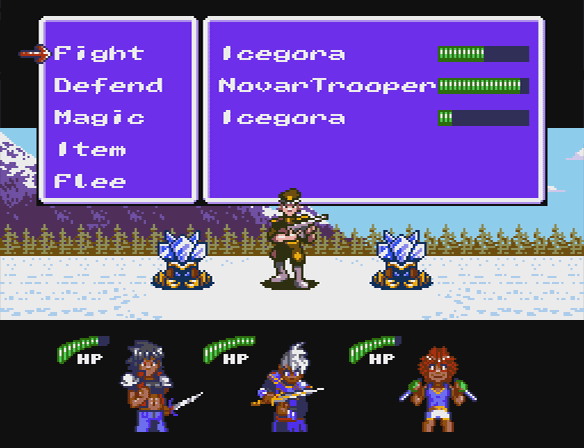 Notice that they’re taller than the normal 16×16 pixel sprites of most NES overhead games. 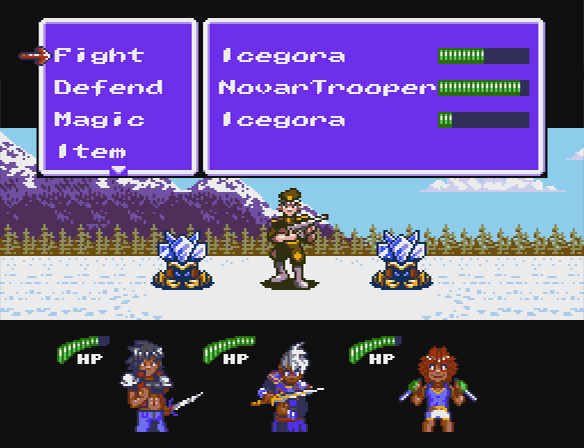 However, a couple of the later NES RPGs did use them ( Crystalis and Lagrange Point , et al. 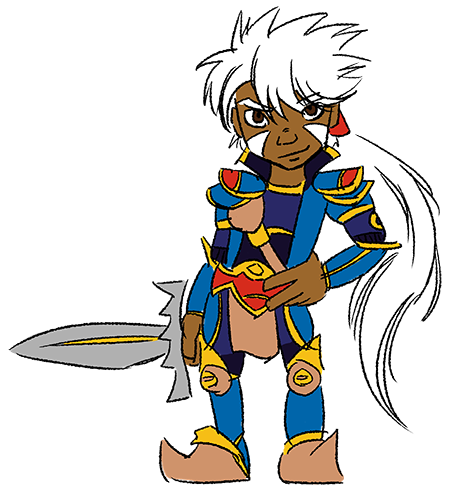 ), as well as the Master System’s own magnum opus Phantasy Star . On an 8-bit system, you’re using up more VRAM because larger sprites obviously take up more space, but since they’re not any wider they wouldn’t cause any extra flicker. And those extra pixels are surprisingly useful for making the characters really pop out and feel unique. If you look closely, you’ll notice that the way the heads of the two students talking are done in the mock-up closely match the way I drew Tachi’s head in Another Star . I referenced the original game’s graphics quite a bit while doing these. For some reason, I decided to do just one more area map. It’s supposed to be 8-bit, so there’s no fancy parallax scrolling for you here! 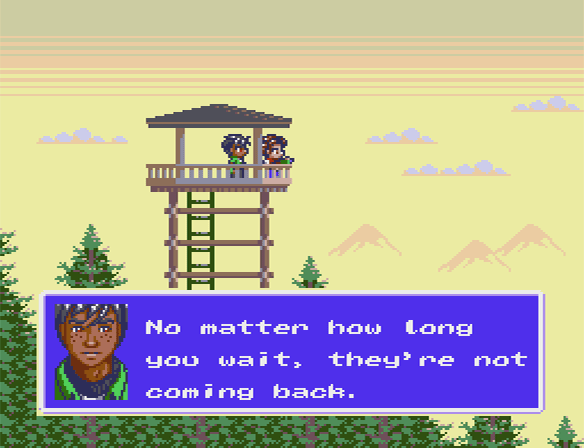 However, shortly after finishing and posting this mock-up, I realized that it would make more sense for this scene to happen at or near sunrise, because the light-skinned character still has to go home and get ready for the class she attends in the first area screen I did. So I tweaked the palette a bit. Can I just say that I really like this palette. If you’re wondering what the green thing is that the light-skinned character is holding, it’s supposed to be binoculars, which would be more apparent in an actual game where the sprite could change so that she actual holds them up to her eyes from time to time. Anyway, while working on the two area maps I just went over, I started to think about the overworld map. When your sprites are 16×16 squares, they’re already sort of “symbolic” and don’t look that out-of-place when you zoom out to the world map with even more wacky scaling issues. But the taller sprites can look a bit jarring on an overworld map because they tend to appear more in-scale to the normal area maps. Final Fantasy VI got around this by dazzling us with its fancy SNES mode 7 graphics, but I decided to play around with the Chrono Trigger route of actually making different, smaller character sprites for the overworld. Whether it works or not is left up to the viewer. 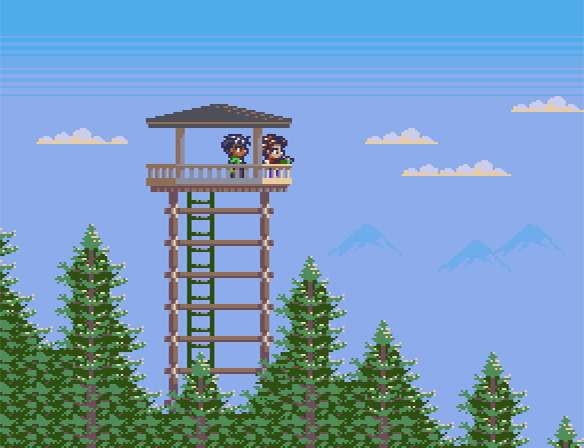 I do like how it came out, even though it has some issues with how it tries to skirt 8-bit limitations. First off, as nice as the mountains look at that size, there’s a reason NES games tend to make a single mountain tile and just stamp it all over the place. The VRAM those mountains would eat up would be costly, and would mean less graphics for other things. I really wanted actual sandy beaches for the coastline, but I couldn’t get it to look right while still being at least conceivably able to fit within the VRAM limitations of an 8-bit system. Still, the roundness of the coast is actually a pretty nice throw-back to the original Another Star . Really love how the bridge and little village turned out, too. The forest looks pretty good as well, although it’s a bit over-rendered in my opinion. 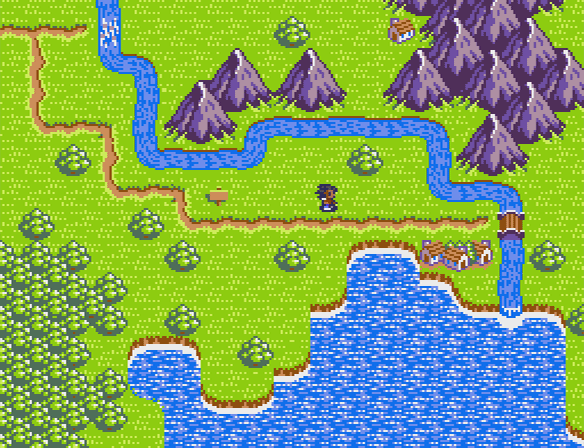 The river I have mixed feelings about, but I do like how there’s a shallow ford crossing near the top of the screen. That was a map feature that I originally had in Another Star that got cut fairly early on because of the tile limit. It was supposed to be used in areas that didn’t really have enough traffic to justify having a bridge built there. After finishing this, I had three of the four main screens of a classic console-style RPG: a battle screen, an area map screen, and a world map screen. I just needed one more to complete the set: a menu screen. That thing on Dewey’s head is supposed to be a bandanna. Here we finally find out the character’s names, even though they’re liable to change supposing I actually made this into a full-fledged game. The layout is obviously taken directly from the original Another Star , but there’s a few things changed up. 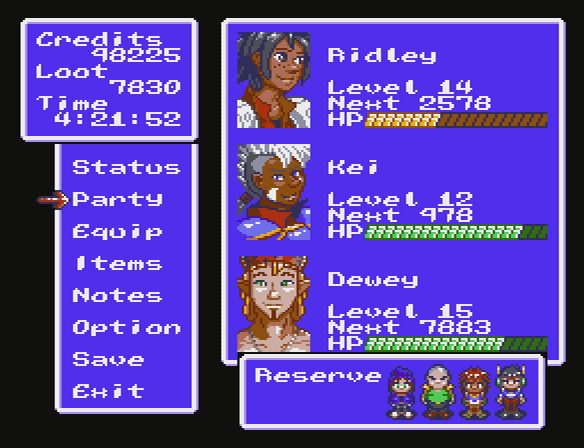 At the bottom is a “reserve” of extra party members. Another Star stuck you with three characters and set you off, but I want the player to have more power to customize their set up in any sort sequel. Combining multiple party possibilities with Another Star ‘s omni-attack mechanics is an idea I’ve wanted to see realized for a long time. I figured I’d stick the extra characters on the main screen instead of hide them, so that they don’t feel left out when they’re not in the party. And maybe the characters in the “reserve” could have some other sort of contribution somehow when they’re not in the main party? It was at this point that I had planned to finally stopped, but there was one more thing I kind of wanted to work out, and that was how the player input their battle commands. The idea I had was that, at the end of each phase of battle, the screen would quickly scroll down to give the player their battle menu. The characters would also turn around to face the player, because I really like it when I can see who I’m playing as. I forgot how much room Another Star ‘s battle screen took up until I did this. You’ll notice the enemies are nearly pushed off the top of the screen. You’d lose even more to the overscan of a traditional television (or Another Star ‘s CRT filter), and it’d even be more noticeable for big enemies like bosses. Well, okay then, what if the screen didn’t scroll, and the menu was at the top? Yeah, that’s probably not going to work. Even if I set the menu tiles with a higher priority to appear above the sprites, that trooper’s head is going to be clipped and it would look just as tacky as being above it. We want to be able to see who we’re fighting, after all. What’s the point of having big, fancy enemy graphics if you can’t see them? Well, since the game can probably only have four enemies at a time anyway if we stick with the pretend Vision Game System’s specs, maybe we could just have four lines and push the “flee” command off the bottom of the menu to make the box smaller? That’s better. Not perfect, but better. It’s not ideal, but at least the trooper isn’t being squashed. Hopefully players would realize there’s more options, though. Ideally, the down arrow tile would be animated to go up and down a pixel so that it’d stand out more. The trooper would probably not be the biggest enemy, though. What if we were fighting, say, some huge dragon? We’d be back at square one. Let’s try scrolling down again. Now’s as good a time as any to mention I like the forest background way more. Okay, that’s not too bad. Especially tall or big enemies would still be lost to the overscan, perhaps, but it seems to give a lot of breathing room. I’d also really like to be able to display the player’s character’s names, but there’s hardly any room left as is. I like this option the best, personally, but maybe you feel differently? In any case, this is where I should have stopped, but I decided to make just one more in preparation to make this big, long blog post. The grass could use a bit of variation. In Another Star I had a lot of self-imposed limitations when it came to the graphics, but not so much with text. Early on, one of my thoughts was that maybe not all encounters would be battles. Every now and then, when you accepted an encounter maybe you’d get some text describing how you’d just come across a wandering merchant instead. Or you’d chance across some other adventurers with news and the beginning of a side quest. Maybe it’d be a short scene describing how you came across extra loot, items, or some free EXP. The idea was scrapped before I ever attempted to implement it, but it seems the idea has stuck with me. 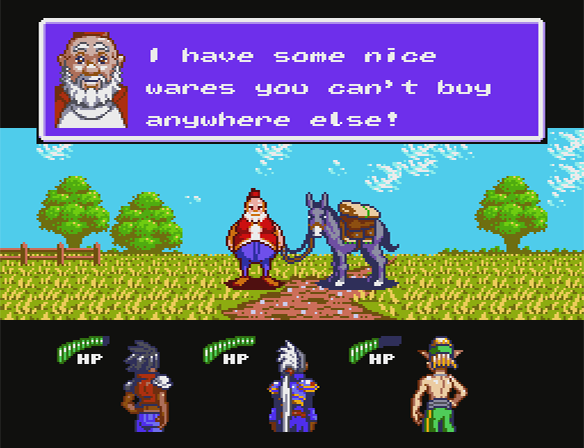 This concept mock-up illustrates the party chancing across a random merchant. 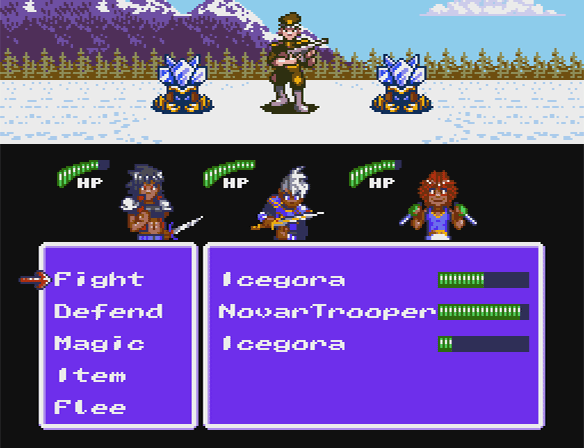 The screen is the same as a battle, except that the party isn’t drawing their weapons. In another scenario, this setup could easily transition into a battle, though. Say you choose to help somebody, and they turn out to be bandits? It was just an interesting thought, and I wanted to see how it might actually look in-game. In an actual game, I’m not sure how annoying these non-battle encounters could be while trying to grind, though. Then again, getting free items and EXP every now and then without having to fight could always make up for the occasional ones you have to stop and make a choice for, perhaps. Well, that’s finally the last of the concepts I did. What are your thoughts? Is this something you’d be interested in seeing? Do you feel it strays too far from what Another Star was? How important are the 8-bit limitations of the original game to you? Talking about whether an indie game was successful or not is difficult, because you first you have to quantify “success”. It’s easier when talking about a game made by a big studio, because then you can break it down by the amount of money taken in, and then compare it to how much was spent to make it, advertise it, and distribute it. It’s harder with indie games, because often there isn’t really a budget. Sometimes the game is made in the developers’ spare time with free tools on equipment that was long ago bought and paid for. With other games the developers may be working on them full time, but they’re not putting money directly into finishing the game so much as just paying bills and buying groceries, and often with freelance work to back them up. When Another Star came out, I said that the game needed to take in just 100 sales in the first three months in order for me to consider it a success. The game took about nine months on-and-off to make, so obviously 100 copies of a ten dollar game wouldn’t give me back the money it took just for me to exist during its production—let alone the extra six months that the version 3 update took! However, it would help me pay for some of the software and equipment specifically bought for game development (not to mention the $100 I sunk into getting the game into Steam Greenlight). More importantly, though, it would show me that there was an interest in what I was doing. If people liked the game and were willing to buy it, then that meant it was worth continuing on and making a second commercial game in the future. Sadly, Another Star didn’t achieve even that. Despite a rocky but somewhat promising start, the game was a commercial flop. 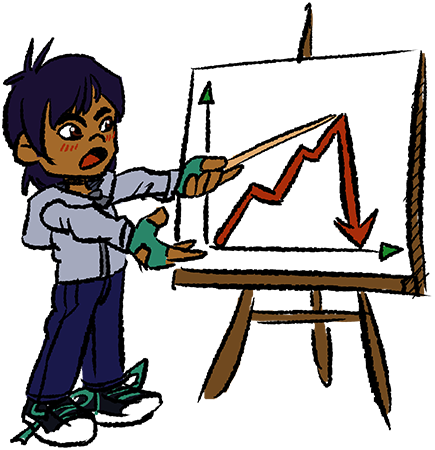 After a year, the game still only managed about 80 sales across all retailers, and most of those were not at full price. Granted, Another Star had over 2,000 sales in an IndieRoyale Bundle, but my share of each individual sale was literally tallied in cents. And then, of course, Desura’s new owner Bad Juju Games declared bankruptcy, so I never did even get the money from that. In excess of $500 dollars from Desura and IndieRoyale down the drain! Now, a lot of people say that indies don’t need Steam. That we can just put our game up anywhere and do just as well so long as our game is good enough. The numbers say otherwise. In just over 12 hours on Steam, the game had outsold any other single retailer (not counting IndieRoyale), and at nearly full price. In less than 72 hours, it had outsold every other retailer combined (again, not counting IndieRoyale). By the end of the first week, the game sold enough that it had doubled its lifetime income (this time even counting IndieRoyale, though I’ll never see that money). Another Star has been on Steam for about three weeks now. Whereas I used to count the number of days (or weeks, or months) between sales, now I am counting the number of sales per day. At this point, it’s usually only two or three, but they’re still continuing to add up quickly. Monday was my first day since launch without a single sale, and then I got five yesterday, as if to make up for it. As of this moment, Another Star has made just under 200 sales on Steam and is on over 2,000 wishlists. And I’d say a big part of the credit here goes to Valve’s Steam Discovery Update which, although terrible at its initial launch, has been improved greatly and even now puts the game in front of people by showing up on the main store page as a “recommended for you” title. People are not only playing the game now, they’re enjoying it, posting their screenshots on Steam, and even discussing it in the Steam forums. There are a lot of people that claim that Steam is getting too crowded. However, even having to vie with all the other titles on the storefront for attention, Steam is probably the single greatest thing that’s ever happened to the game. No, the game isn’t going to generate enough for me to live on. If I’m lucky, it’ll at least cover the cost of the MacBook I bought to do the OS X version of the game. But now I can say, without a doubt or a hesitation, that the game is a success. And, moreover, because of it, I can say that Vision Riders will be releasing another game. A huge, huge thank you to each and every one of you that bought the game. You’re all amazing. Another Star is Out on Steam! It’s a big day today! After so long, Another Star is finally out on Steam! It’s even 15% off until this upcoming Tuesday! Hopefully it does well enough that I can make another game to follow it up, even if I can’t work on it full time like I did Another Star . Only time will tell. Sadly, there won’t be a witty sketch for today’s blog entry because my desktop computer messed up the other day and refuses to boot and, more importantly, I wanted to get this up as soon as possible. In case you haven’t heard the news yet, Desura’s parent company Bad Juju Games has filed for bankruptcy. For those wondering, Vision Riders Entertainment has yet to be payed the hundreds of dollars that are still owed for Another Stars . It now looks like I will never see that money. How long the Desura site even stays up is yet to be seen. If you own Another Star through Desura, you need to know that I will not charge you to buy the game again. Please send an email to support@visionriders.com so that I can sort things out for you. If possible, include your Desura account name and/or the original receipt. It doesn’t matter that I’m not getting the money, you paid for the game and I respect that. I am taking this bullet for you. I will do my best to get a Humble key to you, which will not only net you a DRM-free copy of the game, but will also give you access to the Steam key once it’s available. It’s Official! Another Star is Coming to Steam! Yesterday, after nearly a year on Steam Greenlight, Another Star was selected for release on the Steam storefront. The game was on Greenlight for 336 days and got a total of 1,881 “yes” votes. Sadly, only 32% of all total votes were “yes”. The game was greenlit on pure attrition; as more and more games were selected, the bar for entry was lowered ever further to the point were Another Star finally became a contender. It never reached the Top 100. 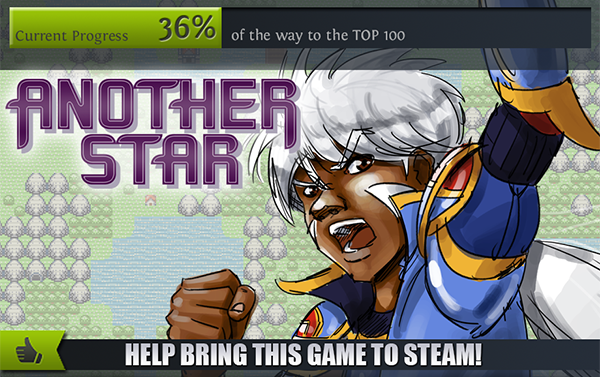 Still, a huge thank you to everyone who up-voted the game so that it would reach this point. Every one of those 1,881 votes mean something to me. I don’t know yet when the game will release through Steam, however everyone who already owns the game will receive a Steam key. For purchases through Desua, IndieGameStand, and the Humble Store, this process is largely automated. However, if you bought the game through FireFlower Games, make sure you keep your receipt handy. FireFlower Games does not provide Steam keys, so I will be providing them directly, and to do that, I’ll need some information from your receipt to make sure you actually bought the game. Instructions on how to do this will be supplied in time. A couple days ago, I revealed that the enemy graphics in Another Star were getting a makeover for the upcoming version 3 update. While the response was generally positive, a few people—I won’t mention any names, CHRIS—were disappointed that the graphics didn’t really match the style or spirit of the original game. Those entitled, ungrateful people LIKE CHRIS should really learn their place and just be thankful for the free things they get from benevolent people like me. How can Chris not love this? Is he a communist? Unfortunately, those people also happen to be right. Yes, even Chris. In fact, I lamented the fact myself in that very post. The style is slightly more “cartoony” than I’d originally hoped for, but the new graphics had to work with the engine that was already there. 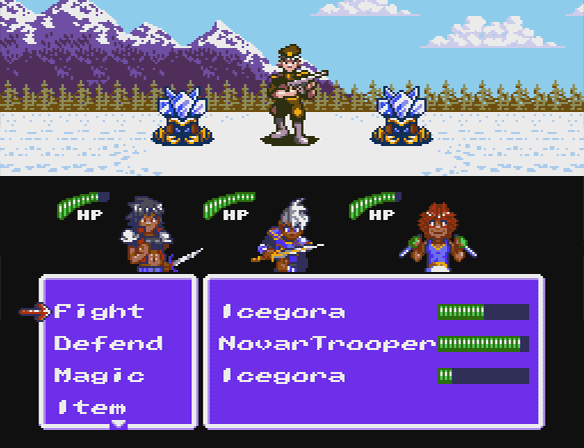 I toyed around with some more realistic(ish) styles, similar to the original Final Fantasy on the NES, but I couldn’t get it to look right with the battle system’s current layout. 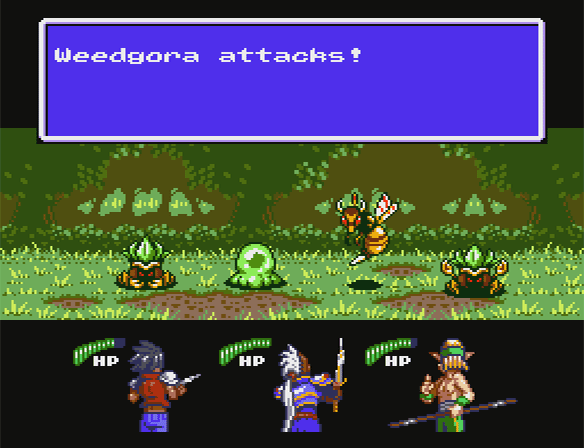 A complete redesign of the battle system was out of the question, so I went with what I thought looked best. Click here to read about what’s changed since writing that. A pretty standard battle in Another Star . Click here to reveal the new screenshots! Some of you are probably reading this because you bought Another Star in the latest Indie Royale bundle, or are thinking about it. When you buy the game through Indie Royale (or pretty much any other retailer selling the game), you also earn access to a key to redeem the game on Steam. Here’s the thing, though: you can only get the key if it actually exists. And for that to happen, the game has to get through Greenlight. Another Star has been stuck on Greenlight for months now, making little traction. But with the spotlight of the latest Indie Royale bundle, and thanks to the efforts of a great many of you, the game has begun to surge forward. Now, here’s you come in! First off, if you have not yet voted for the game, please got to Greenlight right away and do so. Second, please go and tell your friends about the game. Encourage them to up-vote the game on Steam. Social networking sites like Twitter and Facebook are great for this. On my own Twitter account, I’ve even got tweets especially tailored for retweeting in mind that contain a lot of helpful information about the game and its Greenlight campaign. Another Star is by no means a perfect game, but it’d be a shame to see it wither away, stuck in Greenlight limbo forever. Besides, the sooner it gets greenlit, the sooner you get your well-deserved Steam keys!